SUGARBUSH RECORDS Rare Vinyl Mail Order: NEW DOWLING POOLE album "ONE HYDE PARK" out now on vinyl, only 300 copies + JACKDAW4 2LP set offer. 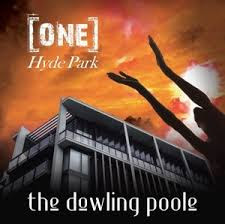 NEW DOWLING POOLE album "ONE HYDE PARK" out now on vinyl, only 300 copies + JACKDAW4 2LP set offer. DOWLING POOLE - ONE HYDE PARK (SUGARBUSH SB018), limited to only 300 copies on vinyl, the amazing DOWLING POOLE are back with their new album - out on vinyl on our label! Another masterpiece of intelligent, well crafted Pop by these masters of hook, line & melody! One for fans of THE CARDIACS, XTC, WINGS, 10cc, SUPERTRAMP, JELLYFISH and any classic British Pop band you care to think of! From the opening single "Rebecca Receiving", a brilliant slice of English Pop, to the title track the production, melodies and lyrics are incredible. Check out their 1st album too (also out on our label), but in the meanwhile enjoy this amazing new album. 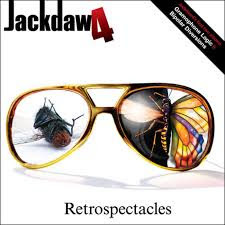 JACKDAW4 "RETROSPECTACLES" 2LP SET, another record in our "Special Imports Series" (IMP016), yes it is a very limited copy of WILLIE DOWLING'S previous band's (before DOWLING POOLE) two albums repackaged as a deluxe 2lp set on vinyl. Two incredible records of stinging, intelligent British Power-Pop. Amazing songs and all the trimmings you'd expect a project led by the genius Willie Dowling. Absolutely an essential addition to our catalogue, only £19.99 for 2 Lps including postage! !